Chez Pierre is a fine dining French restaurant located along Stirling Highway at the heart of the Western suburbs. With soft French music playing at the background, Chez Pierre is perfect for a dinner with friends, a date or to celebrate a special occasion. The atmosphere also made me feel that I am in the heart of Paris, the city of love. Cassandra, Clara and I had the Taste of Spring 5 course menu ($59.50) and Nhi had food from the Ala Carte menu. 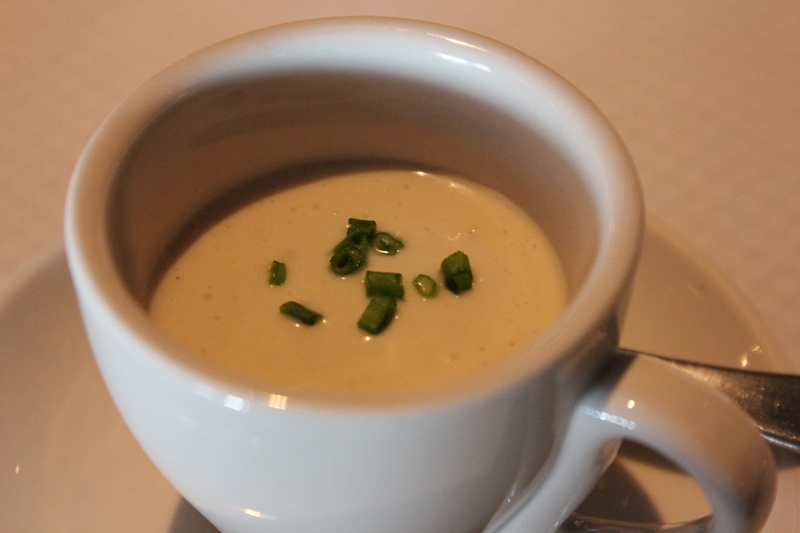 Each week the 5 course menu differs, so be sure to check out what they have on the website too! 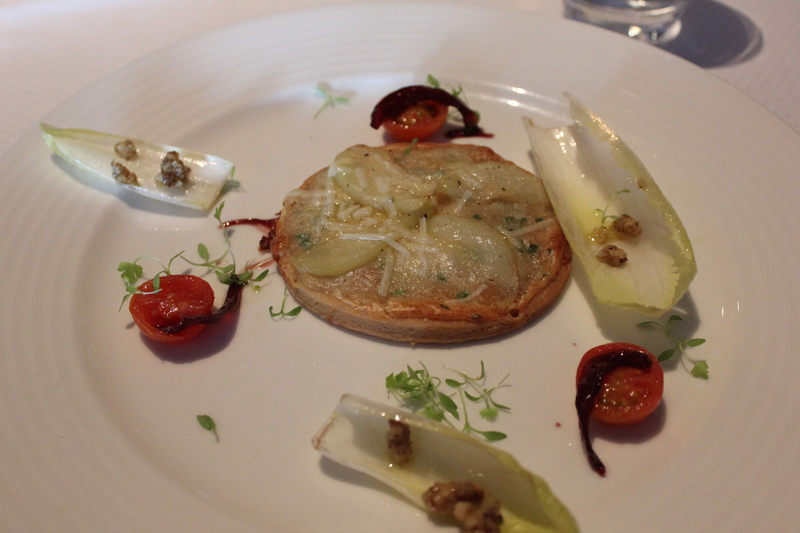 Clara’s review of the Entree from the 5 course menu – ‘Tarte aux poires et au gorgonzola’ was a Gorgonzola Tartlet served with confit red onion, endive leaves & pancetta crisps. The pastry was buttery, crumbly and literally melted in your mouth! The toppings complemented the pastry well and the garnishes helped to cleanse the palate, creating a well balanced and satisfying start to our 5 course meal! 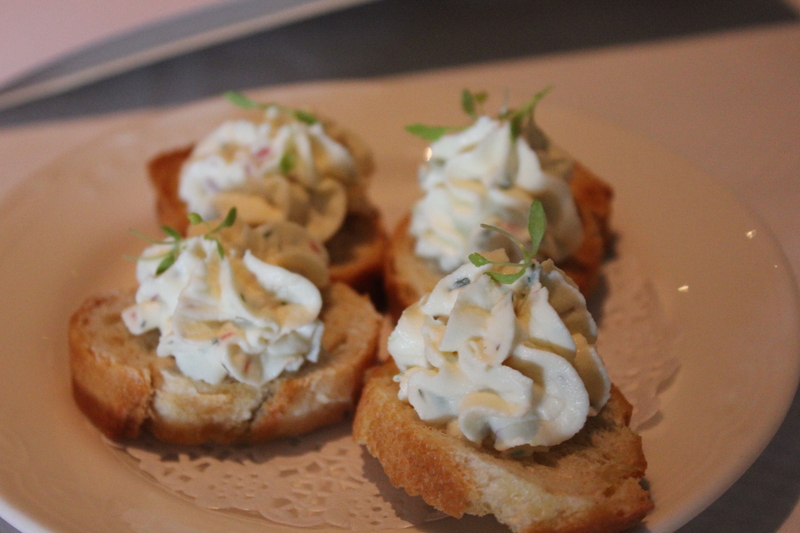 Nhi’s review of the Pâté Maison ($19.50) – the brioche served with the pâté was buttery and melted in your mouth. 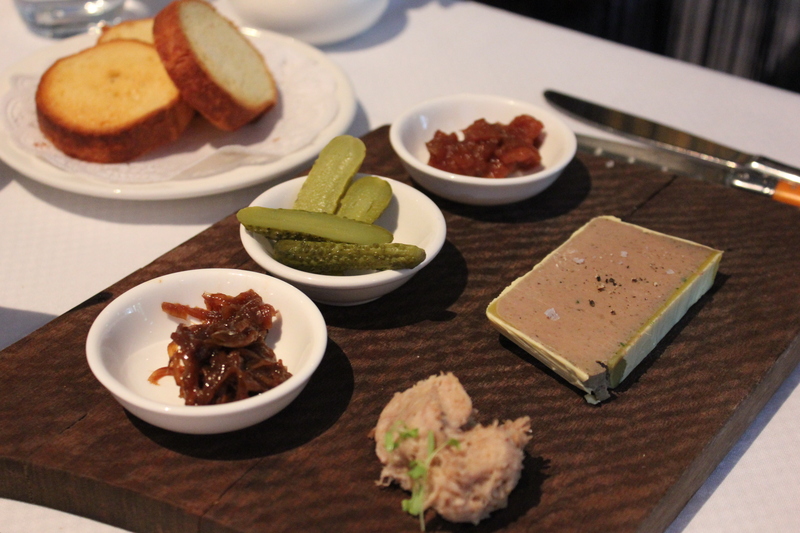 The pork rillettes, pickled cornichons and spiced pear chutney were pleasant enough although the highlight was the chicken liver, peppercorn and cognac pâté with the onion jam. The pâté complimented the sweet taste of the onion jam very well. The only downfall was that there wasn’t enough brioche for all the pâté (which was a generous portion) I was given although it was just as tasty with the plentiful complimentary bread we were given. Here is my review of the Filet Mignon de Porc à la Normande from the 5 course menu – The dish consists of a seared Pork Fillet, served with a pumpkin puree, baby spring vegetables finished with a creamy mushroom & calvados sauce. The Pork Fillet was cooked perfectly and was very tender. 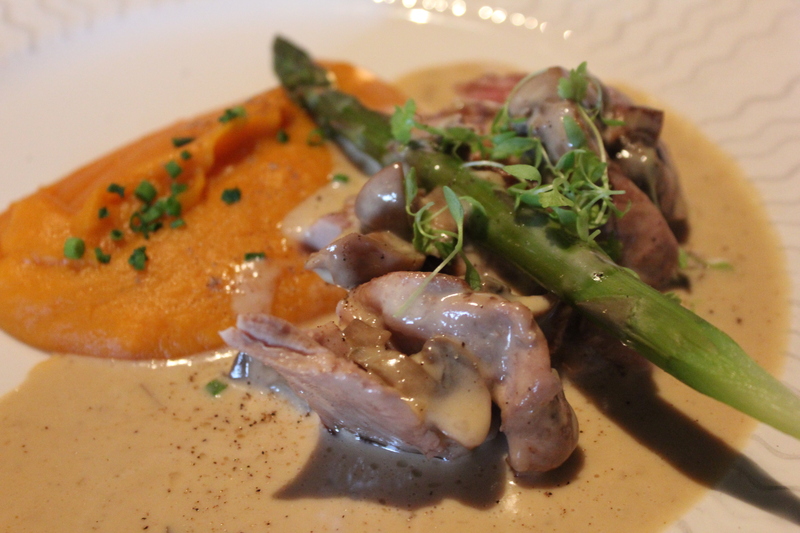 The creamy mushroom & calvados sauce complemented the pork fillet well. Overall, its was full of flavour making it a beautiful dish. 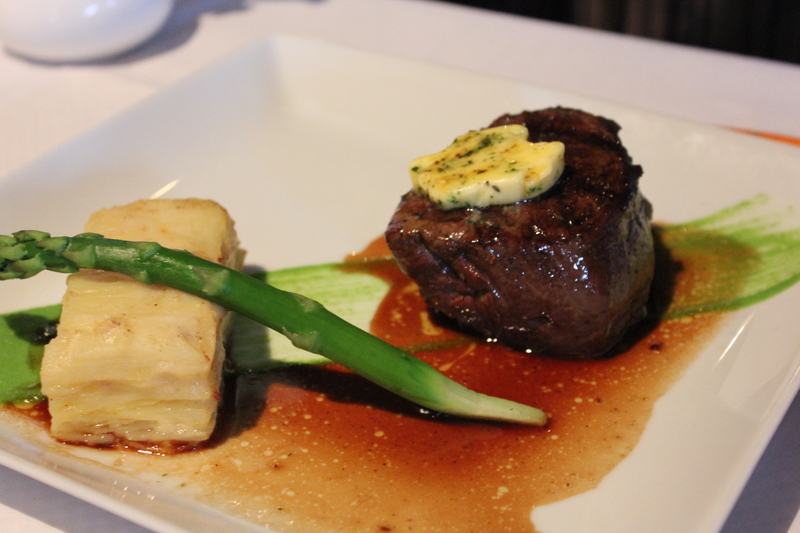 Nhi’s review of the Filet de Boeuf ($43) – A really hearty dish. The beef was cooked just the way I like it –medium rare. It was very tender and juicy. The butter and red wine sauce accompanying it was rich and complimented the beef. The bacon and cheese potato Dauphinoise was impressive to look at with all its perfect layers of potato, bacon and cheese. You can’t really go wrong with potato, cheese and bacon so I thoroughly enjoyed it. Overall this was a very comforting and rich dish. 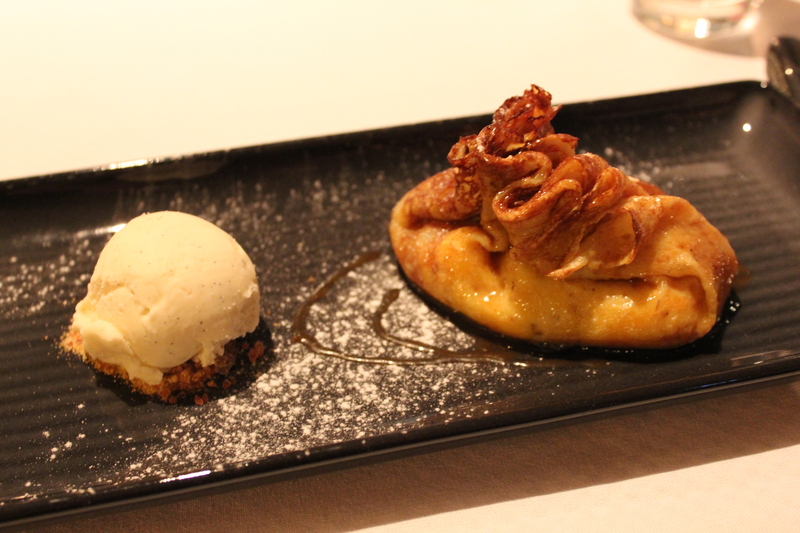 Cassandra’s review of the dessert from the 5 course menu – The dessert was a sweet crepe filled with creme patisserie and caramelised apples finished with caramel sauce and a scoop of vanilla ice cream. The crepe was delicious and light and complemented the gooey apple interior wonderfully. 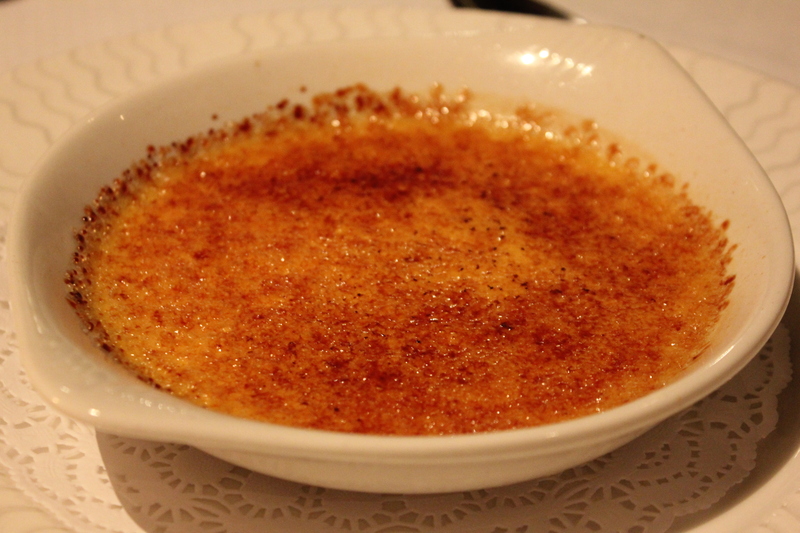 Nhi’s review of the Crème Brulée à la Vanille ($16) – this crème brulée had the perfect toffee coat on top –it was very satisfying cracking into it with my spoon. The inside was creamy and vanillary. I was very impressed that they used real vanilla beans and that they didn’t make it unbearably sweet – it was just right. 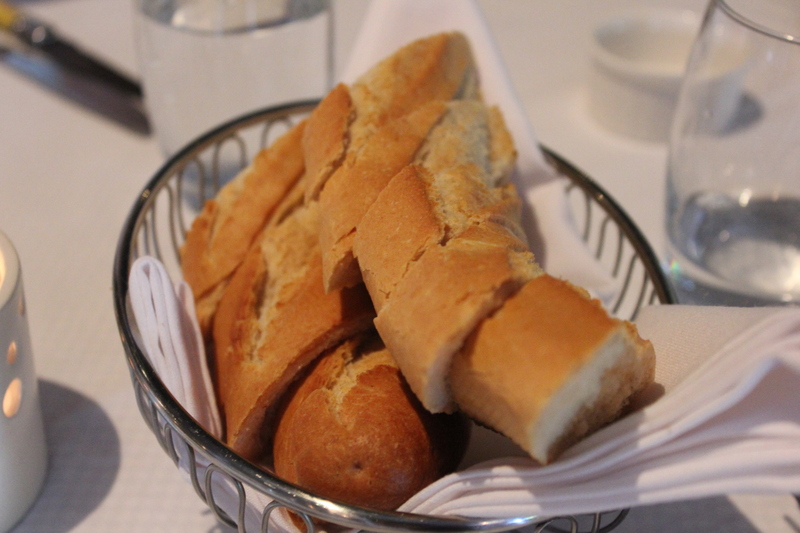 Overall, we enjoyed dining at Chez Pierre and thought that the food was amazing! We were all very full and satisfied after our meals. The set menu that I had was very worthwhile too. I highly recommend Chez Pierre and yes, I will be back again. (Need to try the escargots there!) Oh yeah, and do check out their Christmas menu too!